Tree crown reduction is only one of the several options our customers have for reducing the size of an overgrown tree while, at the same time, encouraging new, proper growth. Wichita Tree knows when crown reduction is the best choice for our customers, and we will expertly guide you through the many options available. Crown reduction is the CAREFUL removal of a large tree’s outer canopy. When Wichita Tree service’s trained technicians are finished, your tree will have the same basic shape as it did before. 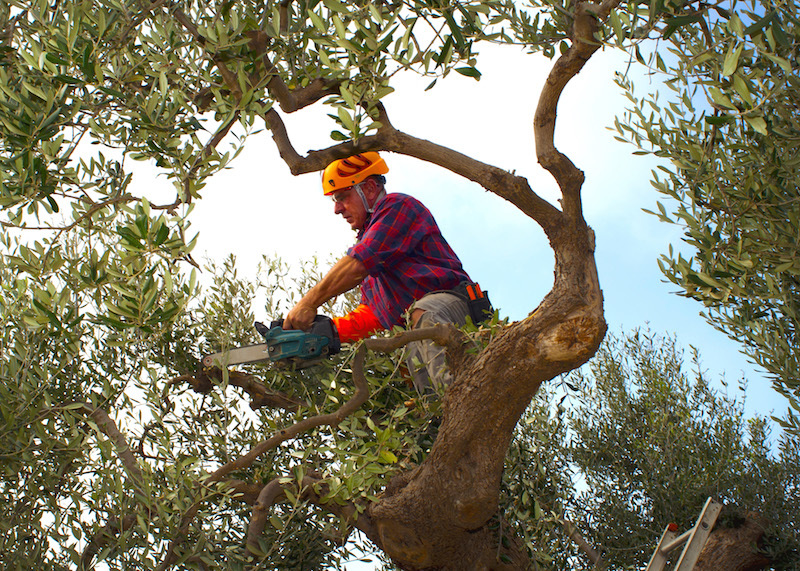 We trim each limb by hand with a specially designed saw – no big, rough-cutting chain saws! This means that the finished tree will look polished, not ragged, because each cut is thoughtfully and carefully made. Please do not confuse crown reduction with “topping.” Topping is the process of haphazardly lopping off the upper regions of a tree, sometimes down to the trunk. Wichita Tree NEVER tops trees! This practice is extremely unprofessional. Not only does it make the tree look hideous, but it also benefits the tree in no way at all! In fact, trees that have been topped are not as healthy when they do eventually grow their branches back. Crown reduction is one way to allow more sunlight to flow through the tree canopy. This is beneficial if the tree is surrounded by a lawn or garden. Also, it can reduce the size of the canopy enough to get the tree away from electric or phone lines, your home or other buildings, or other trees. Finally, crown reduction will reduce the weight of the tree’s canopy, making it safer to have around. Naturally, the specialists from Wichita Tree hold themselves responsible for the cleanup associated with crown reduction. So don’t worry about those unwanted limbs and branches! We can haul away trimmed branches or use a wood chipper to do away with them on the spot! If tree crown reduction sounds it might be right for one of your trees – or more than one! – give Wichita Tree a call today at 405-562-5725, or fill out the contact form found right here on this page!